HAVE YOU TRIED EVERYTHING… BUT STILL CAN’T SHRINK THAT BELLY? What’s standing in your way is most likely deep abdominal fat — the hardest fat to burn. This stubborn fat is located deep inside your abdomen, around your organs. Even when you succeed in burning surface fat… deep fat tends to stick around. Who Needs Deep Cell Activator? Deep Cell Activator can be helpful to anyone who has tried everything to slim down but still can’t get rid of that belly. If your waistline won’t budge, no matter what you do… try Deep Cell Activator for 90 days risk-free. If you are not 100% satisfied with the results you see in your body… we’ll refund your money — no questions asked. Deep abdominal fat — or visceral fat — is harder to burn than surface fat. Even chiseled bodybuilders often have trouble getting rid of it! However, you have a secret weapon against deep fat — something called AMPK. AMPK is a special enzyme that controls cellular energy and metabolism. And when activated, AMPK burns deep fat. To help you achieve AMPK activation, Deep Cell Activator combines three of 3 potent ingredients: Berberine, Quercetin, and Gynostemma pentaphyllum. What’s in Deep Cell Activator? Take 2 capsules in the morning on an empty stomach with water. Then, enjoy your day! Every capsule of Deep Cell Activator is packed with AMPK-activating ingredients to help you finally burn that stubborn deep fat and achieve the body you want. Chou SC, Chen KW, Hwang JS, et. al. The add-on effects of Gynostemma pentaphyllum on nonalcoholic fatty liver disease. Altern Ther Health Med. 2006 May-Jun; 12 (3): 34-9. http://connection.ebscohost.com/c/articles/20953303/add-effects-gynostemma-pentaphyllum-nonalcoholic-fatty-liver-disease. 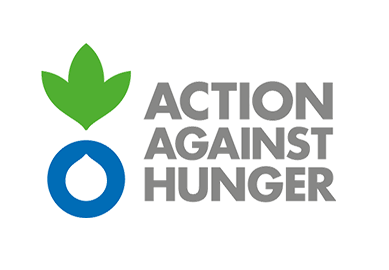 Accessed June 11, 2016. Park SH, Huh TL, Kim SY, et. al. Antiobesity effect of Gynostemma pentaphyllum extract (actiponin): a randomized, double-blind, placebo-controlled trial. Obesity (Silver Spring). Jan 2014; 22 (1): 63-71. DOI: 10.1002/oby.20539. Ahn J, Lee H, Kim S, Park J, Ha T. The anti-obesity effect of quercetin is mediated by the AMPK and MAPK signaling pathways. Biochem Biophys Res Commun. 2008 Sep 5;373(4):545-9. DOI: 10.1016/j.bbrc.2008.06.077. Lee YS, Kim WS, Kim KH, et. al. Berberine, a natural plant product, activates AMP-activated protein kinase with beneficial metabolic effects in diabetic and insulin-resistant states. Diabetes. Aug 2006; 55 (8): 2256-64. DOI: 10.2337/db06-0006. Perez-Rubio KG, Gonzalez-Ortiz M, Martinez-Abundis E, Robles-Cervantes JA, Espinel-Bermudez MC. Effect of berberine administration on metabolic syndrome, insulin sensitivity, and insulin secretion. Metab Syndr Relat Disord. Oct 2013; 11 (5): 366-9. DOI: 10.1089/met.2012.0183. Derosa G, D’Angelo A, Bonaventura A, Bianchi L, Romano D, Maffioli P. Effects of berberine on lipid profile in subjects with low cardiovascular risk. Expert Opin Biol Ther. Apr 2013; 13 (4): 475-82. DOI: 10.1517/14712598.2013.776037. But in the case of Deep Cell Activator, we will likely be sold out for a while. So, we recommend that you consider going with the 6 bottle option. Any quantity you choose is completely backed by our 90-day guarantee. What is in Deep Cell Activator? 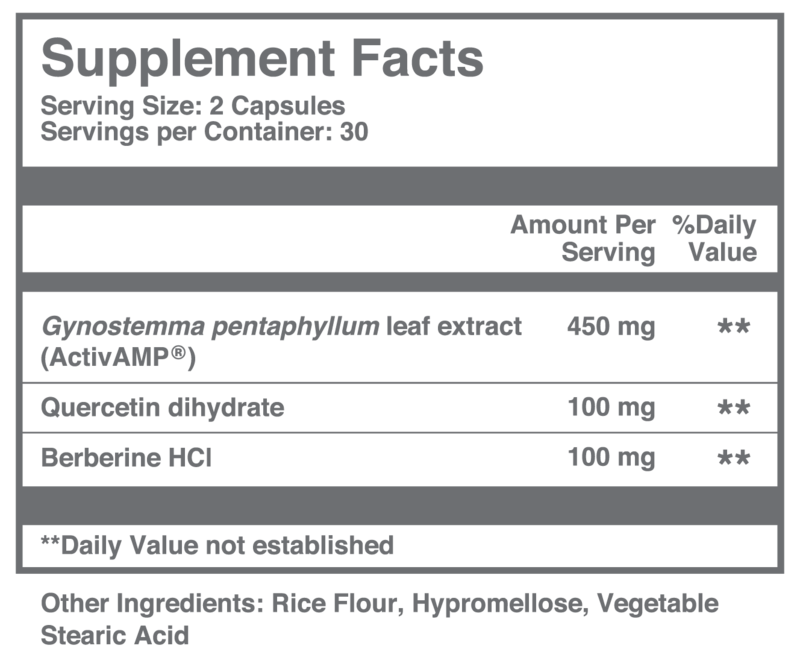 Each serving contains 650 mg of three potent ingredients that have never been combined before. These ingredients are Berberine, Quercetin, and Gynsostemma. Our capsules are vegetarian, free of lactose, gluten additives, and preservatives. It is packed in an environmentally friendly container resistant to heat, light, and air. 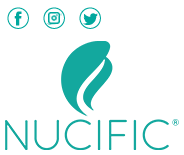 Nucific uses third party laboratory verification to guarantee we use only the highest quality ingredients and nothing else. When can I expect Deep Cell Activator to start working? Many users report feeling increased energy within the first few days. You may also begin to experience reduced appetite and fewer cravings for snacks. As your appetite decreases and you eat less, you may notice a reduction in abdominal fat. As fat disappears energy can increase even more and daily activities may become less difficult and exhausting. As elevated AMPK levels take hold, you should experience clearer thinking and less forgetfulness. You may notice your body shape changing more dramatically. Most importantly, this is when users truly report experiencing a stronger, healthier body. How do I use Deep Cell Activator? Enjoying Deep Cell Activator couldn’t be easier. Just take two capsules with a glass of water, either with food or on an empty stomach. The ingredients in Deep Cell Activator are fully bioavailable, and once absorbed in your stomach will go to work boosting your AMPK levels all day. It is not necessary to refrigerate Deep Cell Activator, although doing so will not impact its effectiveness. Berberine, Quercetin, and Gynostemma are all naturally occurring nutrients found both in both food products and your own body. As such, Deep Cell Activator is safe to use and produces no known side-effects. Deep Cell Activator is tested by an independent laboratory for safety, purity, and potency. How do I know if I’m a good candidate for Deep Cell Activator? 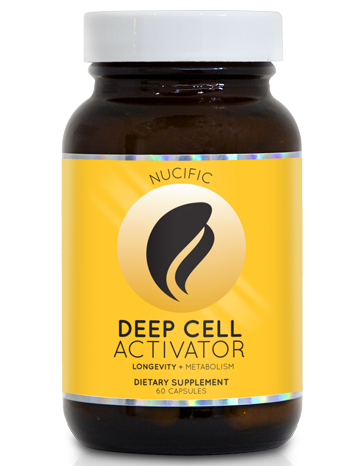 One of the amazing things about Deep Cell Activator is it can work for anybody. This incredible formula is unique because the ingredients have been shown to boost AMPK activation, which naturally gets depleted as you age. So especially if you have experienced fatigue, weight gain, brain fog, a loss of physical energy, and difficulty engaging in the activities you loved when you were younger then you may benefit from Deep Cell Activator. Absolutely. We provide an Ironclad, 90-day money-back guarantee on every Nucific purchase. If you’re anything but satisfied, return your order for a full refund of the purchase price. Dec 18 2018 Deep Cell is AWESOME!! Nov 16 2018 It Helps!